Roush CleanTech recently released a 0.02 NOx propane engine for Class 4-7 vehicles that can be used with renewable propane for near-zero emissions. The majority of traditional propane in the U.S. comes from natural gas. Renewable propane is a byproduct of renewable diesel, and because it’s coming from renewable feedstock, its carbon emissions are extremely low — even potentially negative. The fuel is chemically identical to regular propane, meaning it can be used on any propane vehicle. 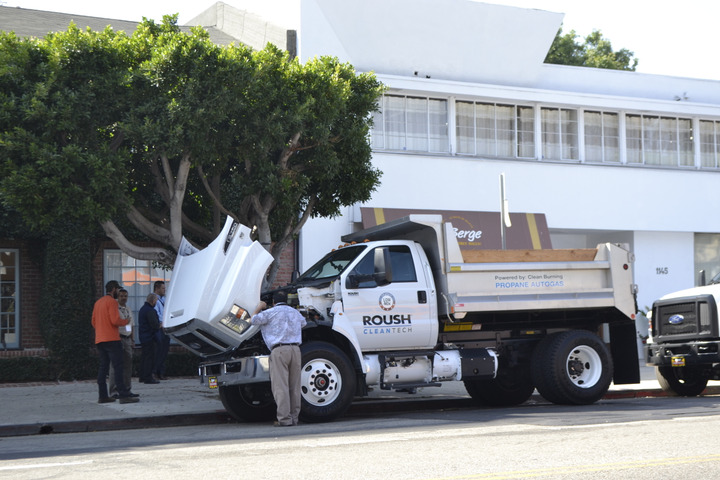 Roush CleanTech recently released a 0.02 NOx propane engine for Class 4-7 vehicles that delivers lower NOx emissions. To gt a near-zero-emission vehicle, a fleet can use Roush CleanTech’s engine for lowered NOx emissions with the renewable propane for extremely low carbon emissions, according to Larry Osgood, a consultant for the Propane Education & Research Council (PERC). Because renewable propane hasn’t been widely used as a transportation fuel before, the industry is still figuring out federal and California state credits that will ultimately determine the cost of the fuel. Both Osgood and Roush CleanTech President Todd Mouw expect the fuel to cost slightly more than traditional propane, somewhere between 10 and 50 cents more. As for availability, Mouw said a company in Southern California and another in Louisiana are producing the fuel. 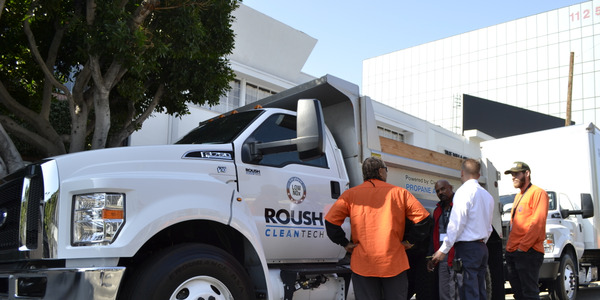 Roush CleanTech expects to begin a project with a fleet using its 0.02 NOx engine and renewable propane in the first quarter of 2019.